Both Visible and The Undead Pool were for-fun reads for me. They were too good to not mention them on the site; however, I didn't have the patience to write up full reviews for each of them---too many books, not enough time! I've been following both of these series for years and I'm so pleased with the direction each series has gone. I'm loving the new releases of series installments! 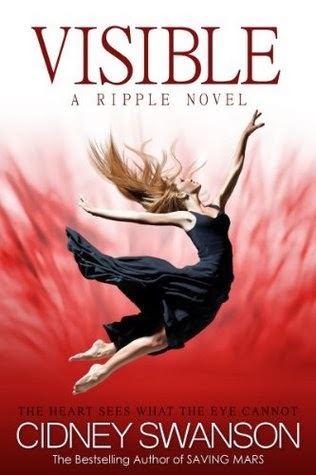 Visible (Ripple #4) by Cidney Swanson. I've always loved Swanson's Ripple series, and Visible was no exception. This book was different from others in the series in that it is told entirely from Gwen's perspective. Gwen has always been a favorite character of mine: I love her sass, wit, and humor. I love the way she looks at life and how adaptable she is. She's also a cat person, which makes me like her even more. The plot from the other books in the Ripple series continued in Visible, but it wasn't the entire focus of the book. For me, the main focus was Gwen and her love life and personal growth. I loved that aspect of this story, especially the historical fairy-tale element. The issue of the 'sleepers' was a huge part of the story, of course, but it took a backseat to Gwen's happiness (at least for me). The only thing I didn't like about Visible was that it felt slow at times. Overall, it was a great read and I look forward to the next installment in the Ripple series! Bonus: this series is very clean and that's refreshing. Rating: 4 stars. 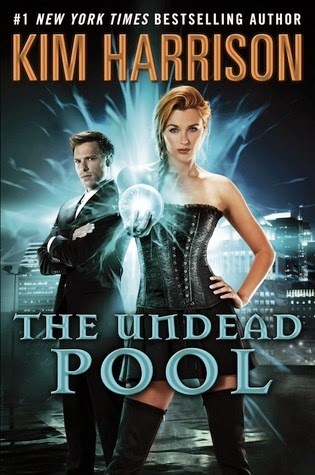 The Undead Pool (The Hollows #12) by Kim Harrison. I love the Rachel Morgan series and The Undead Pool was the best book yet! There is finally some closure to Rachel's love life---although that was not the main focus of the story, it was my favorite aspect of this installment. I feel like this series gets better and better with each book, and The Undead Pool was the strongest book yet, full of plot twists, excitement and intrigue. Rachel is finally owning her power and it's thrilling for me as a reader. And the storylines of the secondary characters are just as compelling for me as Rachel's story. My one regret about this series is that I wish I'd waited to read it until now. It would have been a great one to read each book back-to-back. I want to stay in Harrison's world, full of witches, vampires, werewolves, elves, pixies and demons---all interwoven into the human world. I love it! Rating: 5 stars.